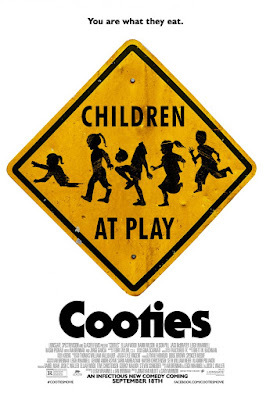 Studio's Synopsis: "A mysterious virus hits an isolated elementary school, transforming the kids into a feral swarm of mass savages. An unlikely hero must lead a motley band of teachers in the fight of their lives." If you like zombie films or TV shows you'll love this film. Its a spin on the zombie genre where pre pubescent kids are the only ones susceptible to becoming zombies. But the adults are what they attack and eat. It's funny in a dry dark sort of way and the horror is top notch. If you're a fan of "The Walking Dead" you will go gaga over it. 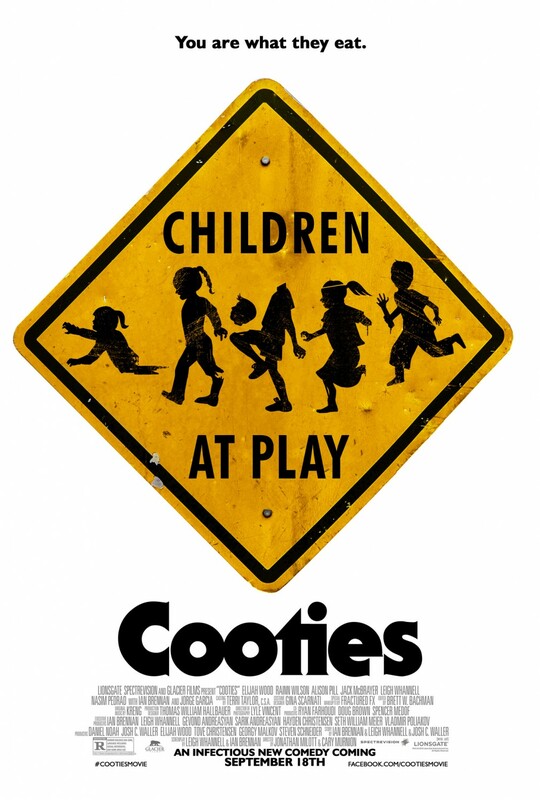 "Cooties" made me laugh at times, and made me flinch at times with some of the gorier scenes. I appreciate films like this that try to break out of the normal everyday films most studios are releasing. It was basically a zombie film like "Night of the Living Dead" where people are held up in a building trying to protect themselves. The performances by Elijah Wood, Rainn Wilson, Jorge Garcia, and Jack McBrayer were great. The cast mostly being comedic actors made the film funnier. I loved this film, I'm a huge zombie genre fan and loved what I saw in this. If you like "The Walking Dead" or any of George Romero's Zombie films go see it. My only gripe about the film is: why if it was completed in 2014 did they hold it up to be released till now? All in all a fun watch, and if you can make this a priority to see either in the theater or on cable. I rate this 3 out of 5 stars, Great cast, interesting story, fun plot, and funny action scenes too.